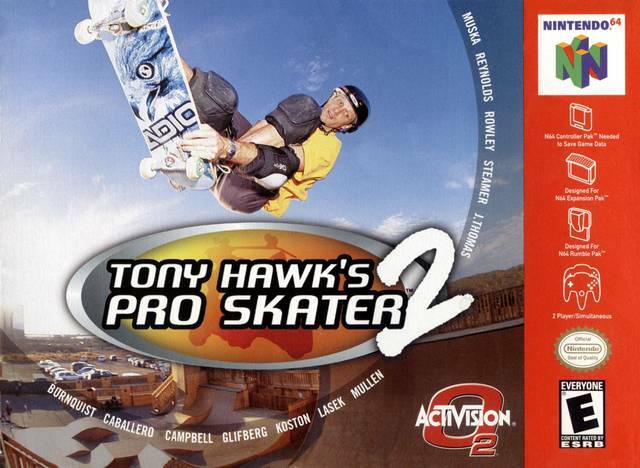 Tony Hawk's Pro Skater 2 redefined an already great game. Its addition of stellar new features (like Create-A-Park), and great game-play tweaks (the manual maneuver will be copied for years to come) made it the best installment in a killer series of games. Anyone who has ever skated the Philadelphia level will agree -- this game is a masterpiece of level design. Hell, it's a masterpiece all around. There isn't a bad park or dull moment, just pure gaming nirvana!